Firebrand Theatre, in partnership with TimeLine Theatre Company, is pleased to announces casting for its revival of the Tony Award-nominated Best Musical CAROLINE, OR CHANGE, featuring music by Jeanine Tesori (Fun Home, Violet), book and lyrics by Tony Kushner (Angels in America), direction by Lili-Anne Brown and music direction by Andra Velis Simon. 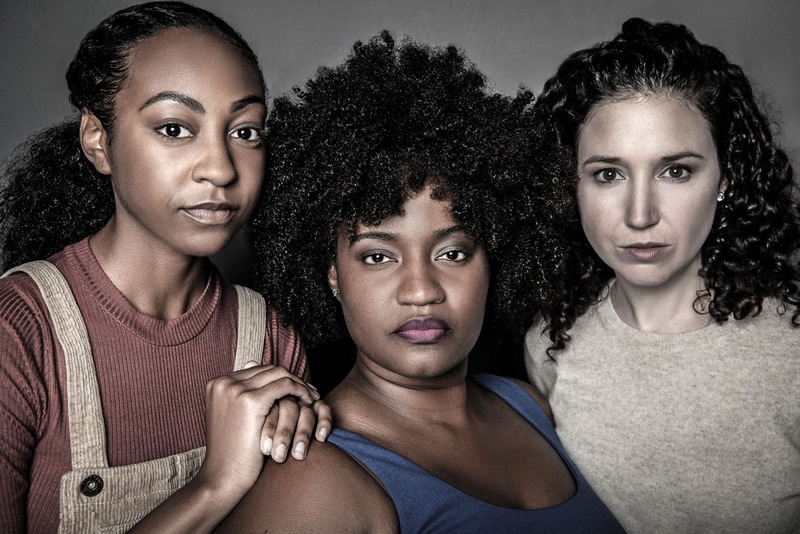 (left to right) Bre Jacobs, Rashada Dawan and Blair Robertson in a publicity image for Firebrand Theatre and TimeLine Theatre Company's production of CAROLINE, OR CHANGE. Photo by Rob Riddle/Ghost Light Headshots. CAROLINE, OR CHANGE will feature Rashada Dawan as Caroline with Roberta Burke as Radio 3, Kevin Grubb as Grandpa Gellman, Nicole Michelle Haskins as Dotty, Rosalind Hurwitz as Grandma Gellman, Bre Jacobs as Emmie, Michael Kingston as Mr. Stopnick, Princess Isis Lang as Jackie, Alejandro Medina as Noah, De'Jah Perkins as Radio 1, Blair Roberston as Rose, Jonathan Schwart as Stuart, Lyric Sims as Joe, Sasha Smith as Moon/Washer and Emma Sipora Tyler as Radio 2. 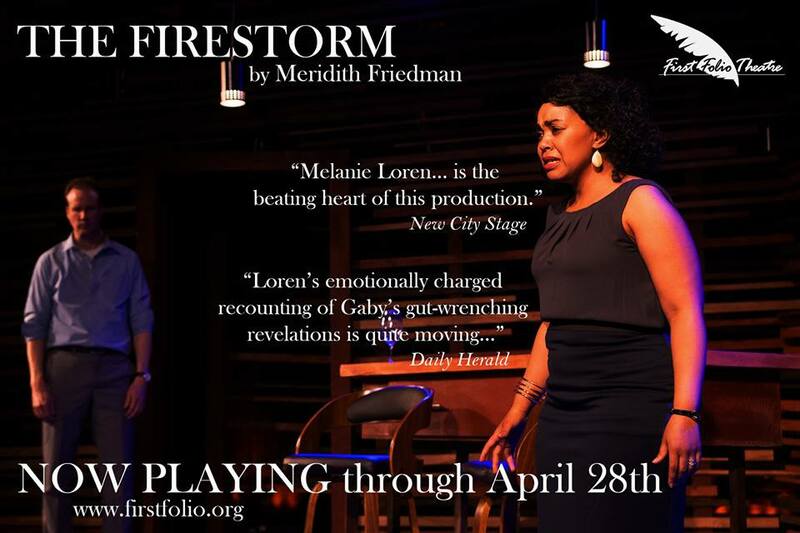 Launching Firebrand’s 2018-19 season, CAROLINE, OR CHANGE will play September 22 – October 28, 2018, at The Den Theatre’s Heath Main Stage, 1331 N. Milwaukee Ave. in Chicago. Tickets now on sale at firebrandtheatre.org. Season subscriptions are currently available. CAROLINE, OR CHANGE is set in Lake Charles, Louisiana: the end of 1963. America is changing. Caroline Thibodeaux is a mother of four and a maid, working for the southern Jewish Gellman family. Caroline struggles with changes monumental and mundane, and her relationship with the young, grieving boy who lives in the house she cleans. Riveting, moving and awe-inspiring, CAROLINE, OR CHANGE features a virtuosic score by Jeanine Tesori (Fun Home, Violet) and a breathtaking book and lyrics by Pulitzer Prize winner Tony Kushner (Angels in America), the music ranges from Motown to Klezmer, the storytelling from political to magical. The production team for CAROLINE, OR CHANGE includes: Lauren Nichols (scenic design), Noël Huntzinger (costume design), Cat Wilson (lighting design), Victoria Deiorio and Karli Blalock (sound design), Lacie Hexom (props design), Brigitte Ditmars (choreographer), Harmony France (producer), Heather Larkin (production manager), Adelina Feldman-Schultz. (casting director), Joshanna Robinson (run crew, child wrangler), JC Widman (stage manager) and Kirby Gibson (assistant stage manager). PHOTO CREDIT: The cast of Firebrand Theatre and TimeLine Theatre Company's production of CAROLINE, OR CHANGE includes (top, l to r) Rashada Dawan, Roberta Burke, Kevin Grubb, Nicole Michelle Haskins and Rosalind Hurwitz (middle, l to r) Bre Jacobs, Michael Kingston, Princess Isis Lang, Alejandro Medina, De'Jah Perkins (bottom, l to r) Blair Roberston, Jonathan Schwart, Lyric Sims, Sasha Smith and Emma Sipora Tyler. 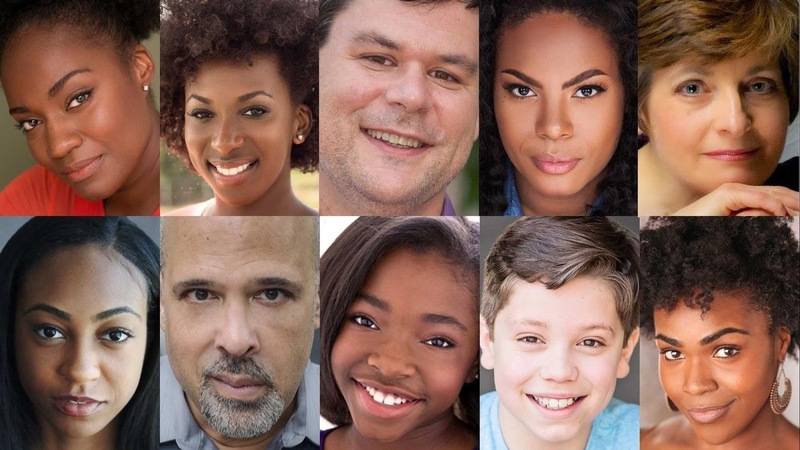 Cast (in alphabetical order): Roberta Burke (Radio 3), Rashada Dawan (Caroline), Kevin Grubb (Grandpa Gellman), Nicole Michelle Haskins (Dotty), Rosalind Hurwitz (Grandma Gellman), Bre Jacobs (Emmie), Michael Kingston (Mr. Stopnick), Princess Isis Lang (Jackie), Alejandro Medina (Noah), De'Jah Perkins (Radio 1), Blair Roberston (Rose), Jonathan Schwart (Stuart), Lyric Sims (Joe), Sasha Smith (Moon/Washer) and Emma Sipora Tyler (Radio 2). Swings: JiGi Fabulous, Kirby Gibson, Tyler Franklin, Ted Kitterman, Micheal Lovette and Corrbette Pasko. Location: The Den Theatre's Heath Main Stage, 1331 N. Milwaukee Ave.
Tickets: Previews $25. Regular run $45. $20 students/industry rush tickets available at the box office. Tickets go on sale Saturday, July 28, 2018 at firebrandtheatre.org. 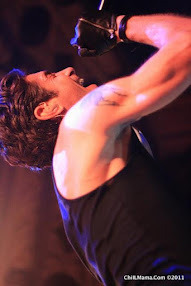 Season subscriptions are currently available at firebrandtheatre.org. Lili-Anne Brown (Director) is a native Chicagoan who works as a director, actor and educator, both locally and regionally. She is the former artistic director of Bailiwick Chicago, where she directed Dessa Rose (Jeff Award), Passing Strange (BTA Award and Jeff nomination for Best Director of a Musical), See What I Wanna See (Steppenwolf Theatre Garage Rep) and the world premiere of Princess Mary Demands Your Attention by Aaron Holland. Other directing credits include Kristiana Rae Colón's Tilikum (world premiere, Sideshow Theatre), Buddy: The Buddy Holly Story (American Theatre Company), Ike Holter's The Wolf at the End of the Block (16th Street Theatre), Lottery Day (Goodman Theatre New Stages Festival), Marie Christine (Boho Theatre), Peter and the Starcatcher (Metropolis Performing Arts), The Wiz (Kokandy Productions), Xanadu (American Theatre Company), Jabari Dreams of Freedom by Nambi E. Kelley (world premiere, Chicago Children’s Theatre), American Idiot (Northwestern University); the national tour of Jesus Snatched My Edges; and Little Shop of Horrors, Hairspray, Unnecessary Farce, Cabaret, Sweet Charity, The 25th Annual Putnam County Spelling Bee at Timber Lake Playhouse. She is a member of SDC, SAG-AFTRA and a graduate of Northwestern University. 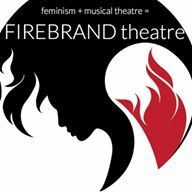 Andra Velis Simon (Music Director) is thrilled to be the Resident Music Director for Firebrand, where she music directed Lizzie and 9 to 5 for their inaugural season. Her work as a music director, adapter, arranger, pianist and vocal coach has been seen regionally at the Oregon Shakespeare Festival, A.R.T. in Cambridge, Brooklyn Academy of Music, NYU’s Skirball Center, Actors Theatre of Louisville, Pasadena Playhouse, Berkeley Rep and Olney Theatre in Maryland. In Chicago, she has worked with The Goodman Theatre (The Iceman Cometh and Camino Real); The Hypocrites (Cinderella at the Theater of Potatoes, American Idiot, Pirates of Penzance, The Mikado and H.M.S. 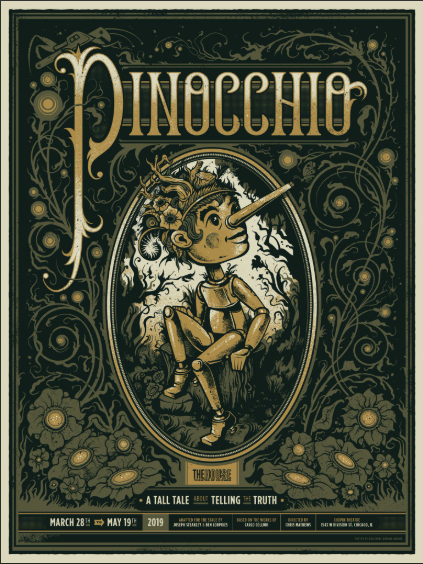 Pinafore); Theater Wit (Mr. Burns and 10 out of 12); Chicago Children’s Theatre (The Hundred Dresses, A Year with Frog and Toad, Goodnight Moon and Last Stop on Market Street), and many others. In addition, Andra has taught musical theatre performance at Columbia College Chicago since 2008. Upcoming projects include A Gentleman’s Guide to Love and Murder at Porchlight and Next to Normal at Writers Theatre. Company members: Artistic Director: Harmony France, Advisory Board: Lili-Anne Brown, Emjoy Gavino, Kate Garassino, Amber Mak, Danni Smith, Company Members: Kasey Alfonso, Sydney Charles, Heather Clark, Adelina Feldman-Schultz, Tyler Franklin, Amanda Horvath, Jon Martinez, Eric Martin, Amelia Jo Parish and Andra Velis-Simon. 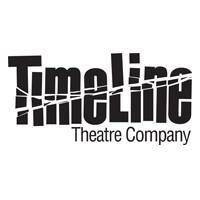 TimeLine Theatre Company was founded in April 1997 with a mission to present stories inspired by history that connect with today's social and political issues. To date over 21 seasons, TimeLine has presented 75 productions, including 10 world premieres and 33 Chicago premieres, and launched the Living History Education Program working with Chicago Public Schools. TimeLine is led by Artistic Director PJ Powers, Managing Director Elizabeth K. Auman and Board President Eileen LaCario. Company members are Nick Bowling, Janet Ulrich Brooks, Behzad Dabu, Lara Goetsch, Juliet Hart, Mildred Marie Langford, Mechelle Moe, David Parkes, Ron OJ Parson, PJ Powers, Maren Robinson and Benjamin Thiem. More information at timelinetheatre.com.